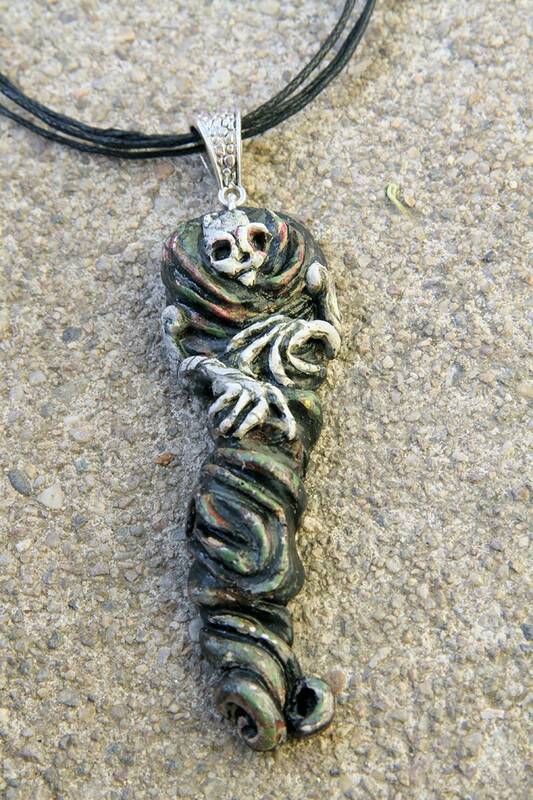 This cute little skeleton dude was sculpted from ploymer clay, then molded and cast. 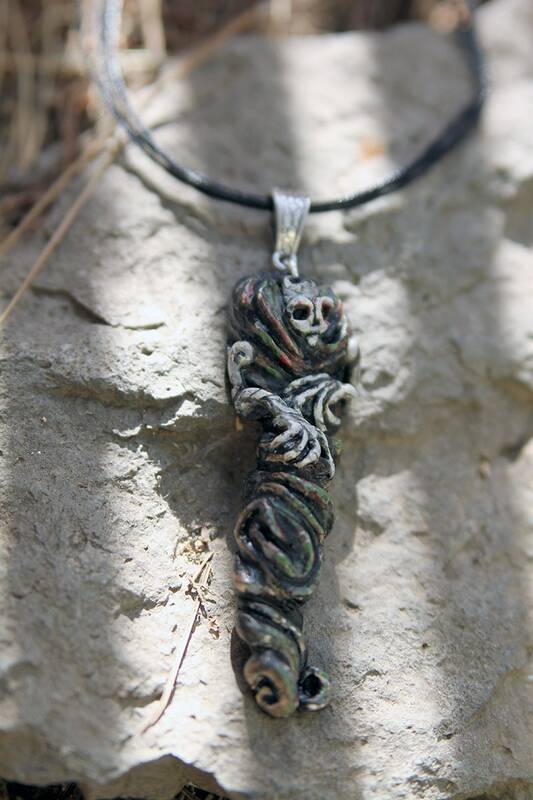 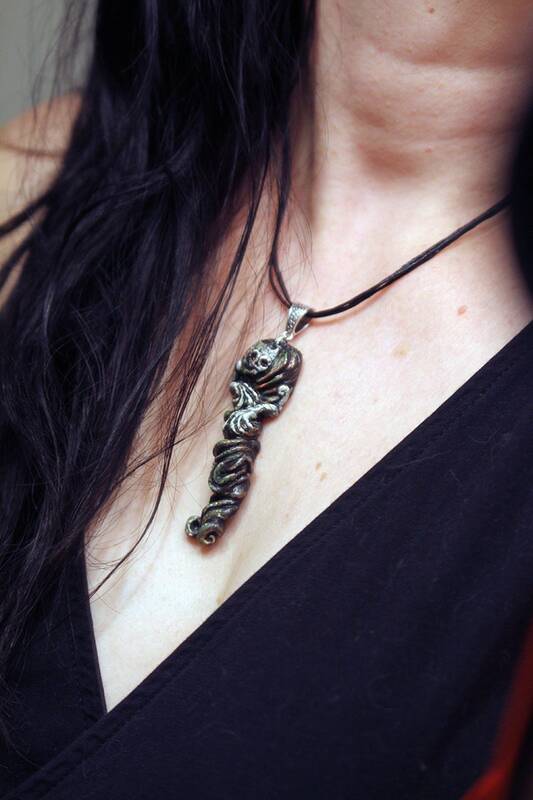 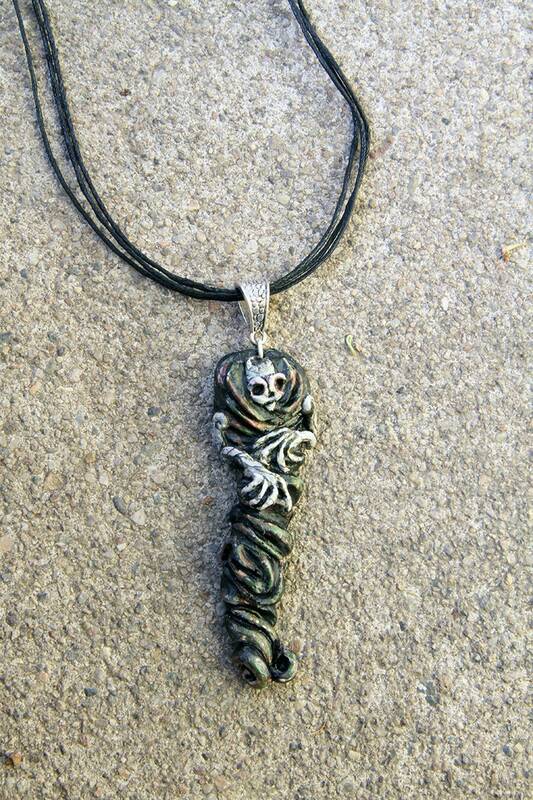 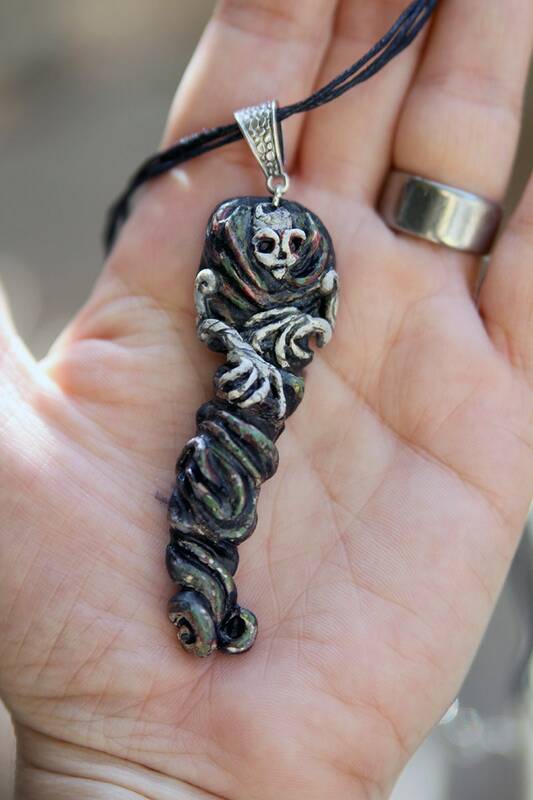 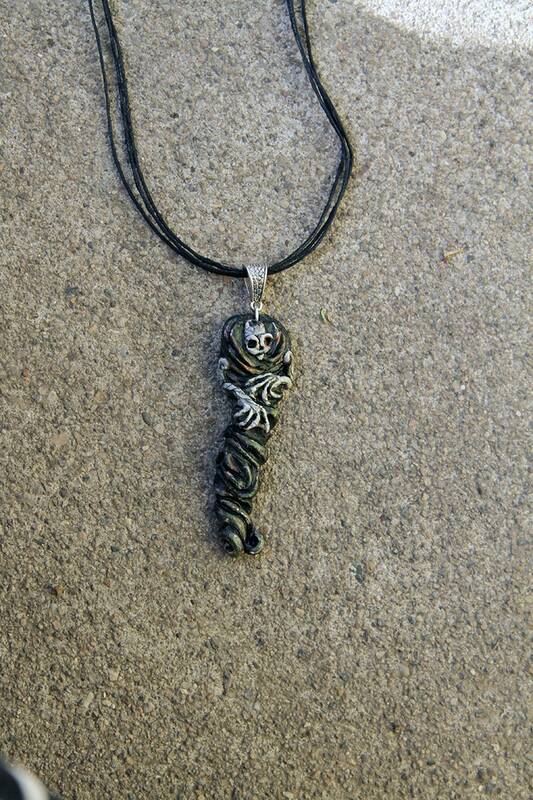 After hand painting and sealing, he hangs from a waxed cord necklace. 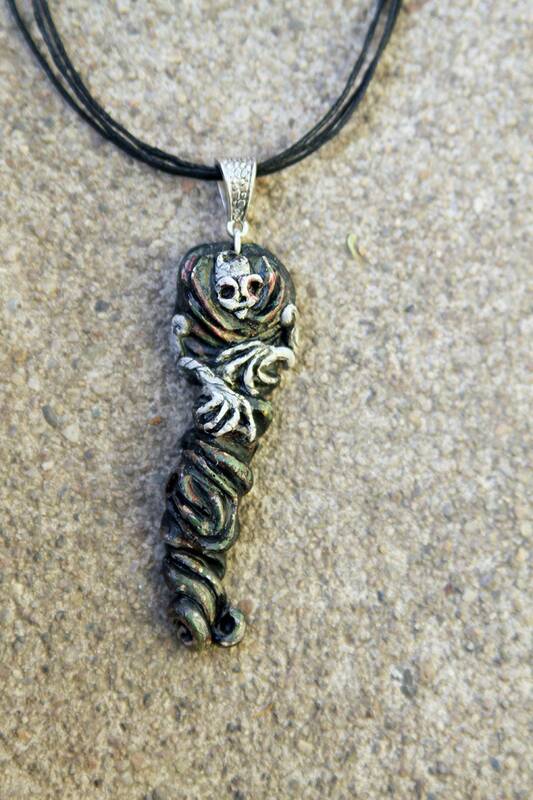 • Pendant measures approx 1" x 3"